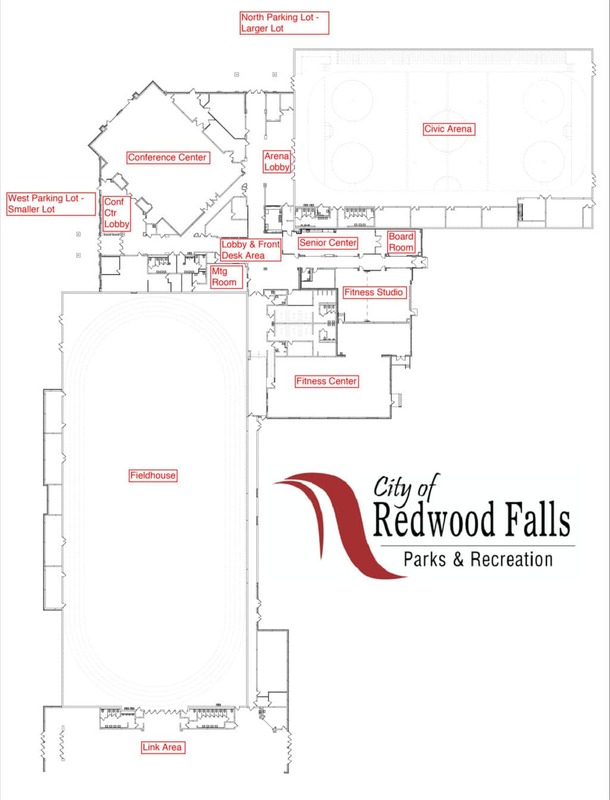 The Civic Arena is the home ice for the Redwood Area Hockey Association, Redwood Valley High School Hockey Team, Redwood Falls Parks and Recreation Department Activities. There are also plenty of opportunities for open skating all winter long in this climate-controlled arena. Open skating is available with a daily pass or as part of your membership. Skate rentals are available. 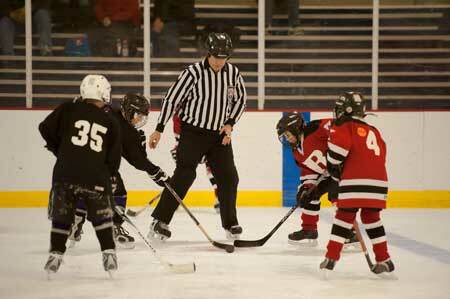 The Arena can also be rented for larger, special events such as exhibits or trade shows during the non-ice season. 6:00 p.m. - 7:45 p.m.
5:00 p.m. - 7:45 p.m.
Other open opportunities will be posted on KLGR, Redwood Gazette, Redwood Area School District Announcements, and at the Community Center. The following are descriptions of user groups. Category B: Civic, charitable, service clubs, and other governmental organizations. Category C: Private individuals, organizations, or businesses. Full room for 2 days, catering kitchen use, patio use, table and chair setup/take-down, linens and napkins. Rental rates are for regularly posted business hours. 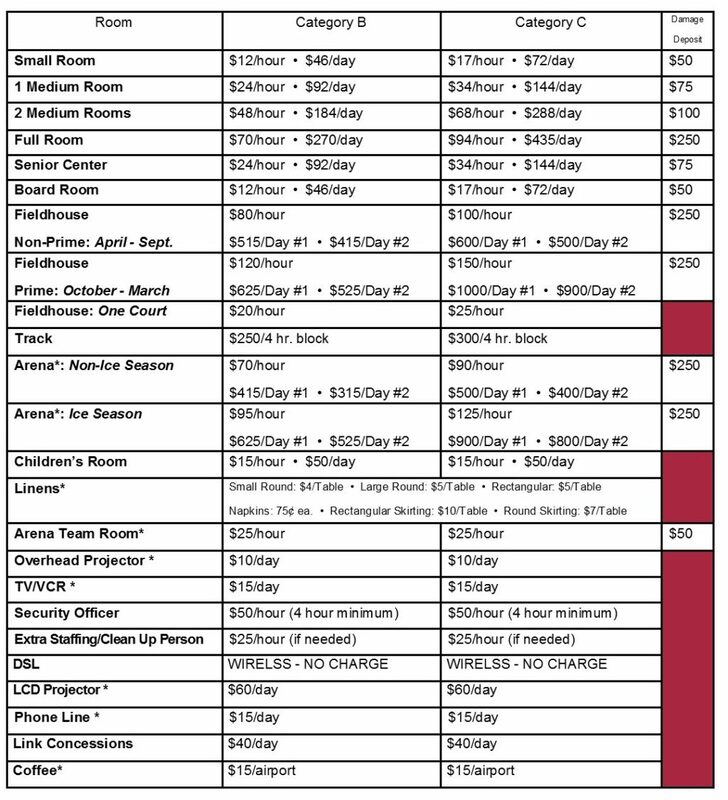 Facilities can be rented beyond the regular hours for an additional per hour charge. If you are interested in becoming a business partner please contact us. This is a great way to advertise your business! Help support the RACC Business Partners!